FAQs / Who made the lessons? 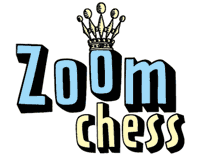 Jill Keto (a ZoomChess founder) provided the voice and animation to the curriculum and lessons of US Senior Master Harlan Lee (another ZoomChess founder), whose after-school programs have taught chess to thousands of students over 30 years, and helped develop many national champions. One who fears an isolated Queen’s Pawn should give up Chess.